You guys know I love to travel, but I think I love the planning part of traveling just as much as the trip itself. It’s a weird Type-A sort of thing. 😉 One of the most important parts of planning a trip is figuring out what to pack and how to pack. We love to pack our things in our Osprey backpacks, even for longer trips like our two week trip to Italy or trip to Seattle & Vancouver. See my previous posts about packing in a backpack and my detailed packing list. 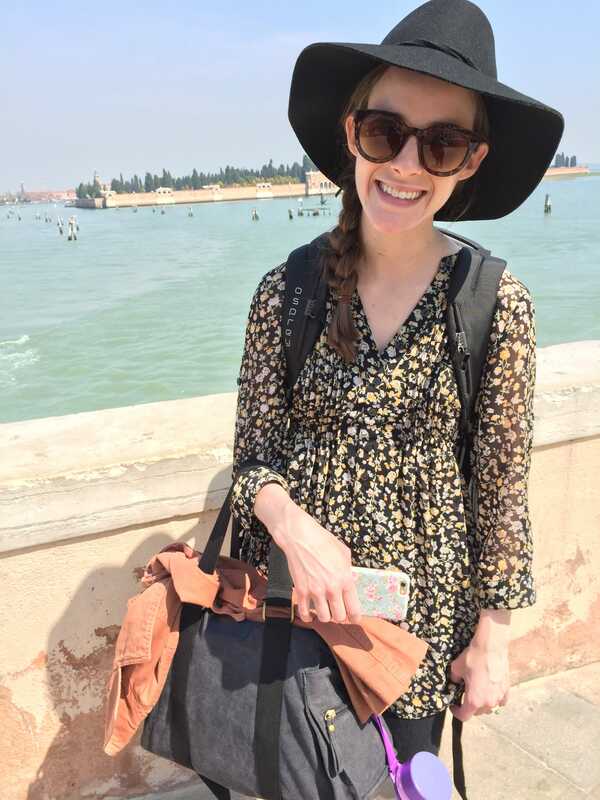 I’ve found that you can still pack in a carry-on-backpack and look cute while traveling. And here’s how! Check out the links below. Tips for packing in a backpack: The key is finding neutral pieces and using scarves or accessories to change things up a bit. 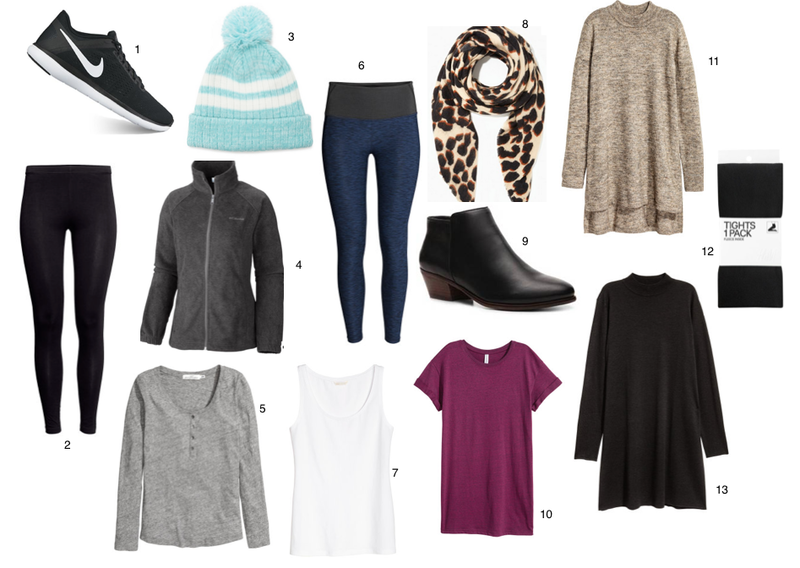 Mainly, I just aim for several short sleeved shirts, a few long sleeves, cardigan, two jackets that can be layered, tights, scarves, a hat, leggings, jeans and a dress or two. These various types of clothes will pretty much cover every situation you’ll encounter while traveling. Another important thing to remember is to pack clothes that don’t wrinkle easily and can dry quickly because you will likely end up hand washing a few items. As far as shoes go, pack a pair of ankle boots or cozy ballet flats, Keds and athletic shoes. Ankle boots cover dirty city streets, ballet flats can be worn to dinner or a ballet, athletic shoes are needed for hiking and Keds are pretty much the most versatile (and comfy) type of shoe I’ve found. Believe it or not, I’ve actually managed to bring three different pairs of shoes in a backpack. 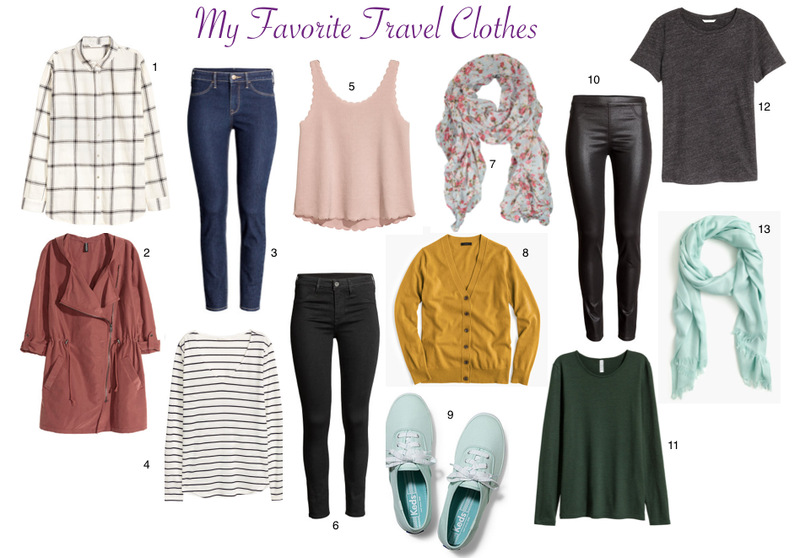 And last, I hate the idea of bringing really expensive clothes on a trip, so I aim for basics and clothes that are on the lower end of my budget. This is everything I packed for a two week trip to Italy!